The Malibu Gran Fondo is a high-end two-day event, with a gran fondo on Saturday and a time trial or social ride on Sunday. What is special about the ride is that the Serious Cycling racing team leads the peloton, until the timed hillclimb. 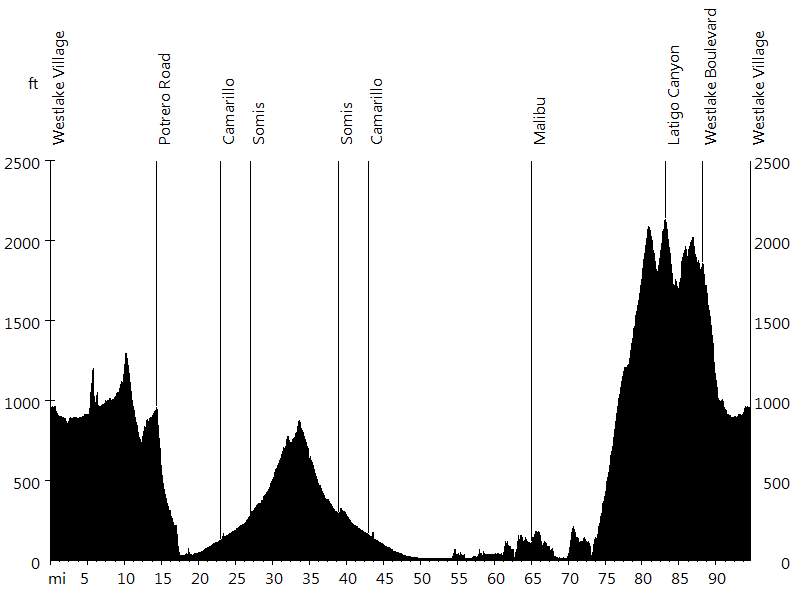 The Saturday gran fondo starts in Westlake Village and leads around and over the Santa Monica Mountains. Initially Potrero Road heads west to the Oxnard Plain. Then Lewis Road leads inland into Somis, for a loop on Bradley Road and Balcom Canyon. Next it leads back to Las Posas Road, which connects to Pacific Coast Highway (PCH). 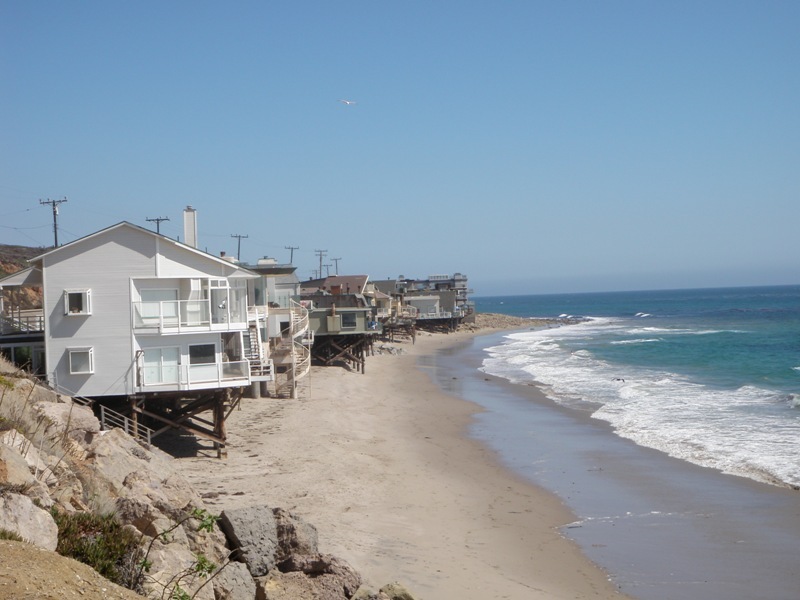 The ride then follows PCH all the way into Malibu, where it turns onto Latigo Canyon (KOM). Finally Mulholland Highway connects to Westlake Boulevard, which descends back into Westlake Village. The Sunday time trial and social ride are held on PCH. An awesome event, thank you to all volunteers. It was great seeing Susan T. and riding with Joel G. and friends.